DUFFY'S TAVERN has a very convenient location between North Sheridan Road and North Pine Grove Avenue, and what we really love is that they are open as late as 3:00 AM on Saturday nights! 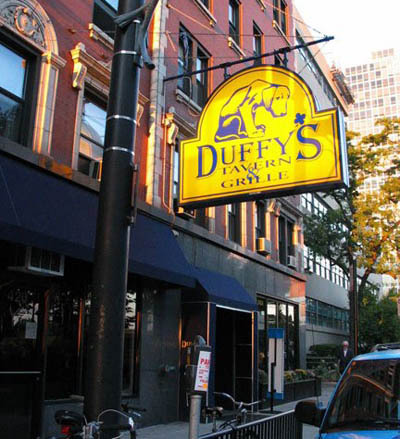 Most other days of the week they keep the doors open until 2:00 AM, and they are also open on Sundays so you can wrap up your weekend with a great time at Duffy's. The music is great here, with lots of the current hits being played, so it's perfect if you and your friends love to dance. The atmosphere is loud and boisterous, and the drinks are nice and cheap! Be sure to check out their Sunday buffet brunch too!